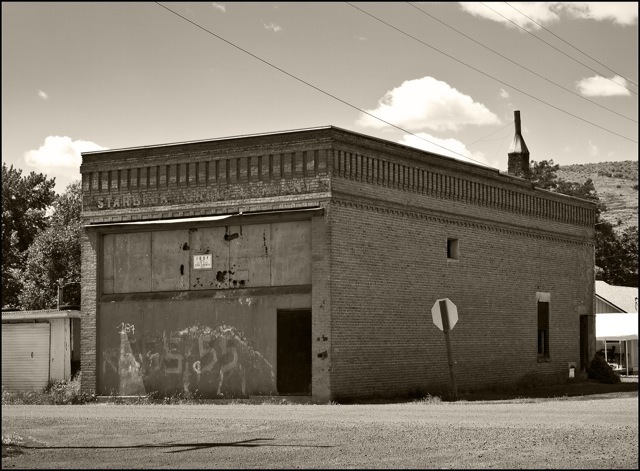 Only a few brick building remain to recall what was once a prosperous commercial district in Starbuck. One red brick building that still stands has a painted sign on its brick front, informing passersby that it was once home to the Starbuck Drug Company. 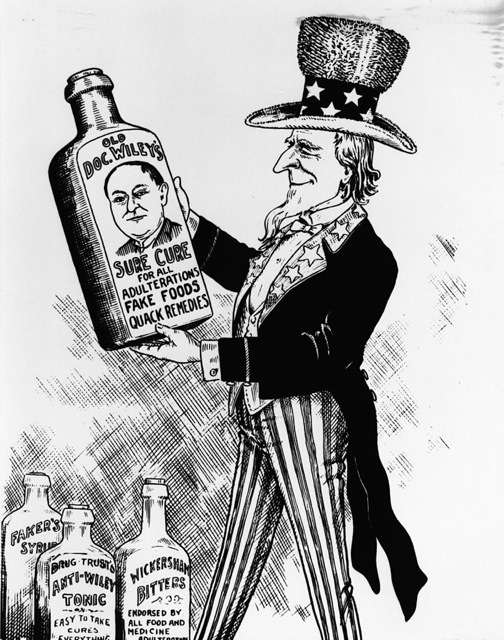 Vernon B. Whiting was born in New York, but by 1910 he owned and operated Starbuck Drug Co. with his son Bernard (Bemie, to the locals). The once-successful farmer V.B. 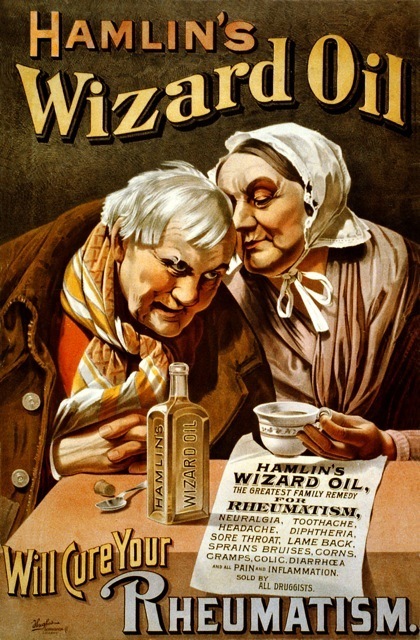 Whiting took great pride in owning his store and personally oversaw the filling of prescriptions. He was a prominent member of the community who served as the bank's vice president for a number of years. 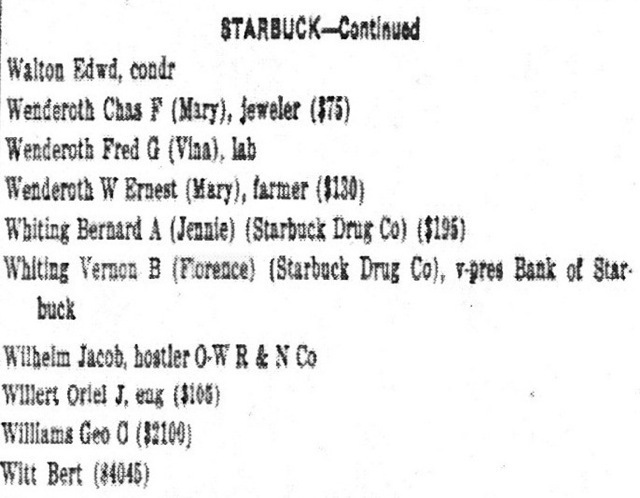 By 1926 the Starbuck Drug Co. had moved to another property where it operated until its closure in 1930. A more recent sign is affixed to the front of the building and tells of another chapter in its history. In 1926 the building was purchased and remodeled by the Columbia Daughters of Rebekah Lodge No. 310. The Daughters of Rebekah began as an honorary degree in 1851 for the wives and daughters of members of the Independent Order of Odd Fellows. Over the years it became evident that a separate order was needed. In addition to being a fraternal order, Rebekahs emphasize community service. The Daughters of Rebekah believe in three principles: Friendship, Love, and Truth. They have four symbols, the Beehive, representing a cooperative network, Moon with Seven Stars, a symbol of God's universal order, the Dove, reminds members that their mission is "love and charity," and the Lily, symbolic of "purity of character." Membership is open to men and women who are at least 16 years of age, who possesses good character and believes in a supreme being. In Starbuck, when lodge 310 chartered it did so with seventeen members. By 1928 membership had grown to thirty-five, ten brothers and twenty five sisters. Membership peaked in 1953, with a total of sixty-nine members. By 1982 membership had declined significantly. Still, they continued to assist with the town's Christmas tree and hosted an annual children's egg hunt each Easter. In the early '90s the remaining eighteen members consolidated with the Schuyler Lodge in Dayton and locked the door to the old brick building for the last time on March 14, 1992. 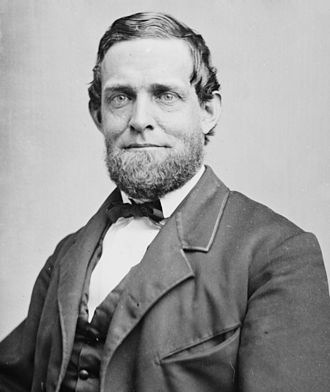 Schuyler Colfax: Mr. Colfax worked to establish the honorary Rebekah Degree which led to The Daughters of Rebekah as an independent order in 1868. ~ Source: Wikipedia. http://en.wikipedia.org/wiki/International_Association_of_Rebekah_Assemblies. 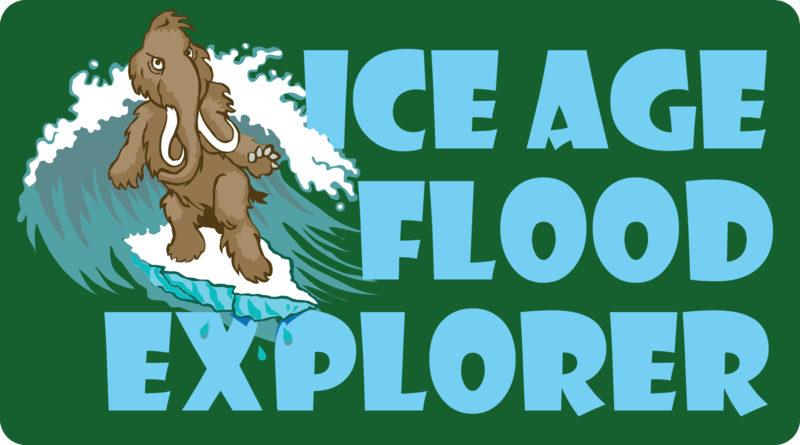 Angel L. Rios, “Still Standing ,” Ice Age Floods Explorer, accessed April 21, 2019, http://floodexplorer.org/items/show/19. Fletcher, W. F. "Starbuck 1882 - 1982." Fairfield, WA: Ye Galleon Press, 1982. Presley, Marcia. Interviewed by author, by phone. June 5, 2015. Rebekahs of Idaho. "History." 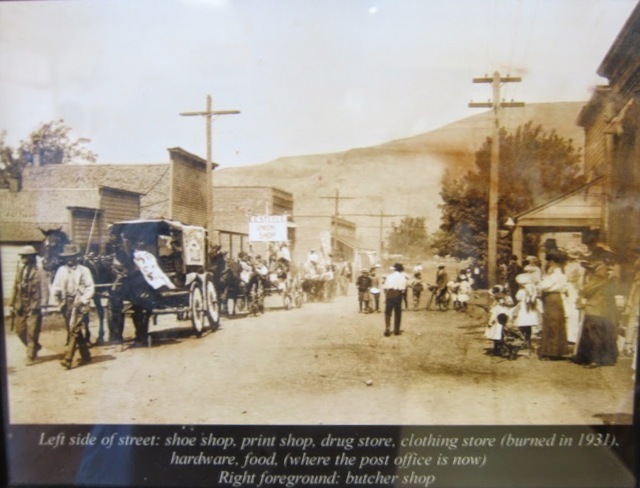 Accessed May 26, 2015. http://www.rebekahsofidaho.org/history.htm. The Sovereign Grand Lodge Independent Order of Odd Fellows. "Rebekahs." Accessed May 26, 2015. http://www.ioof.org/IOOF/About_Us. Washington State Digital Archives. "Census records: 1910." Accessed May 27, 2015. http://www.digitalarchives.wa.gov/ Wikipedia. "International Association of Rebekah Assemblies." Accessed May 28, 2015. http://en.wikipedia.org/wiki/International_Association_of_Rebekah_Assemblies.